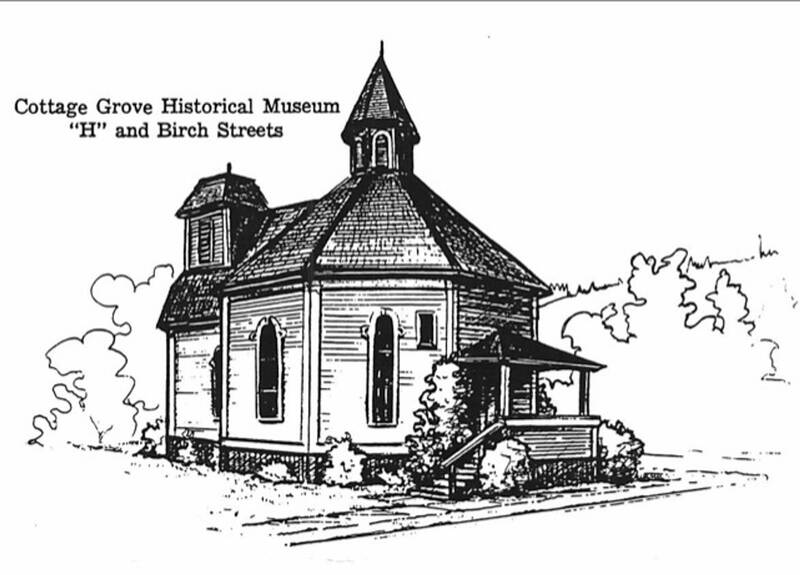 Fun and interesting stories about the Cottage Grove Museum and its collections. Do you have your own pair of ice skates? Ambrose Woodard (the father of Walter Woodard) didn't have any of his own back in January of 1949 when Cottage Grove had over a month of freezing weather. The water in Cottage Grove Reservoir was frozen hard enough that people were taking the opportunity to go skating. The Cottage Grove Sentinel of 20 January 1949 reported that over 1500 others were skating on the lake from the 13th to the 17th. Mr. Woodard, age 91, had grown up in the Midwest and knew how to ice skate. But since he didn't own any skates, what was he to do? Apparently it was someone working at his son's mill (Woodard Lumber Company later sold to Weyerhauser) who took a pair of clamp-on roller skates, removed the wheels, then welded on a sharpened file. Now Mr. Woodard had a pair of ice skates and he went skating. These historic ice skates are on display at the Cottage Grove Museum. Come and see them.